Kent have a wide range of heaters to suit any space, style and budget. Sleek, modern design or rustic traditional charm - you'll find a Kent wood heater that's right for you. Sleek and sophisticated the Fairlight features clean and simple lines for the ultimate modern home. The Fairlight boosts coverage of up to 300 square metres and is one of the cleanest burning heaters on the market. 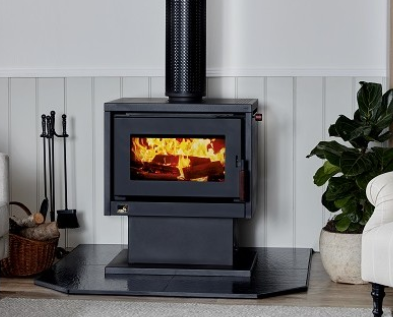 The Kent Geo is simple and minimalist in design, perfect for heating medium sized areas and boasts a coverage of up to 250 square metres. The Geo is also one of the cleanest burning and environmentally friendly heaters available. A robust radiant heater with character, ideal for those looking for a low cost heater with maximum heat output. Heats up to 180 square metres. Comes with a trivet accessory allowing you to cook on top. Striking in design with minimalistic lines, the Calisto series (available in small, medium and large units) heats up to 320 square metres and will add a touch of modern style to any home. With a sleek curved European design, the Caliente will create a stunning centrepiece to any living space. 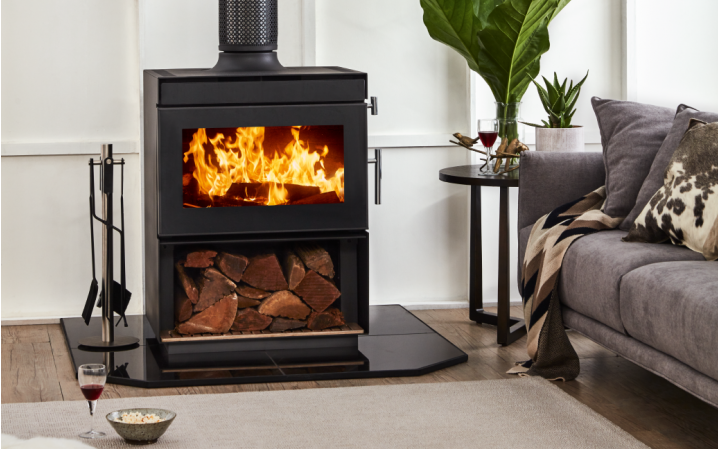 Perfect for small to medium spaces the Caliente will heat up to 180 square metres. The mid-sized Kent Somerset MKII is designed with small to medium sized homes in mind. The heater has a built-in 3-speed fan and will heat up to 200 square metres. 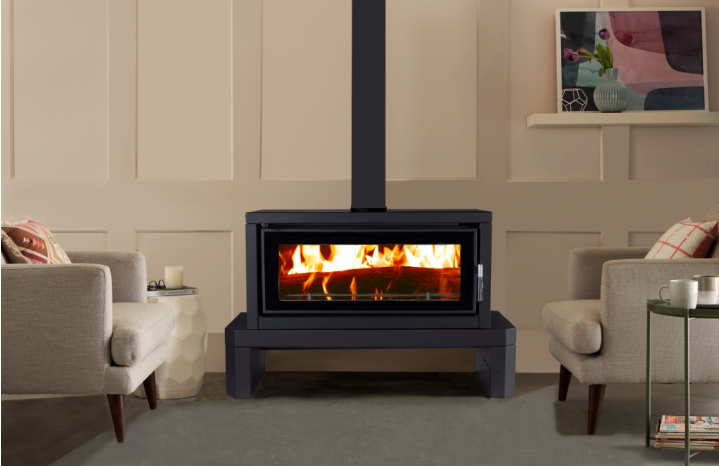 Constructed from 6mm thick steel with a 10-year firebox warranty. The larger Kent Country Classic MKII is a new design of Kents traditional Country Classic. The MKII is a minimalistic designed heater offering ample heat for medium to larger homes. The heater has an built-in 3-speed fan and will heat up to 300 square metres. 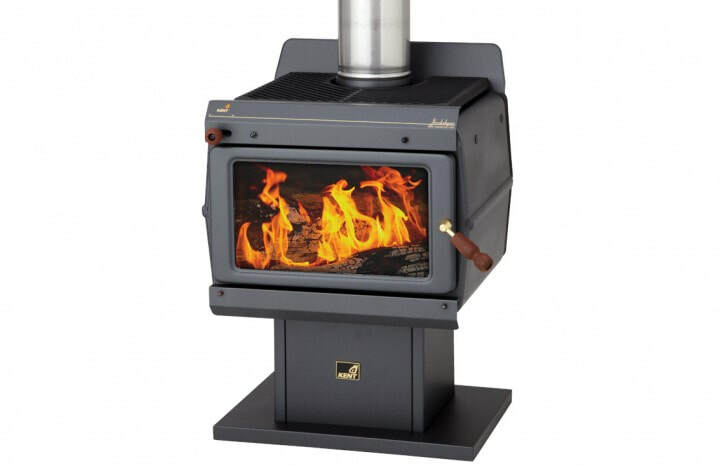 Constructed from 6mm thick steel with a 10-year firebox warranty.